Helping children unlock their ability to read is probably one of my favourite things about teaching. Reading is a complex process that requires the use of many different strategies and skills. Being able to recognise sight words is an important skill for an emerging reader. Funnily enough, as the name suggests, the goal of sight words is for your child to recognise these words on sight. Many sight words don’t follow basic phonic principles so they can’t be sounded out. Knowing a selection of words on sight means that beginning readers do not need to decode every. single. word. Decoding every single word affects the fluency of reading and fluency is key to comprehending what is being read. Being able to recognise words on sight also promotes reader confidence. 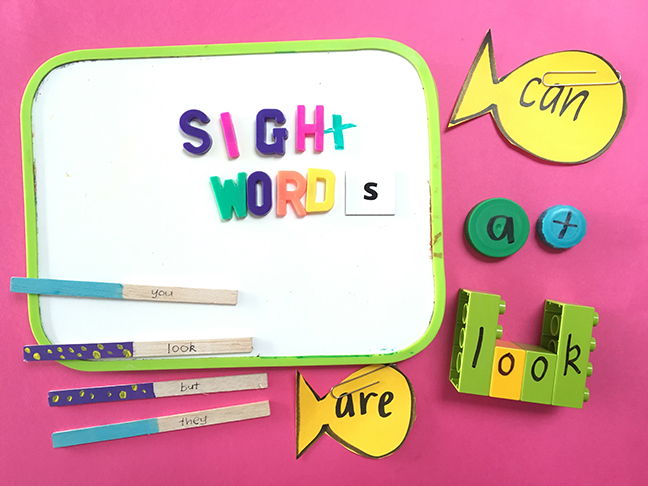 How can you help your child to learn their sight words without it feeling like rote learning? Here are 15 fun and playful activities for sight word practice. This is a fabulously portable activity that is super simple to make. Fill a dried-out water bottle with rice and sparkles. 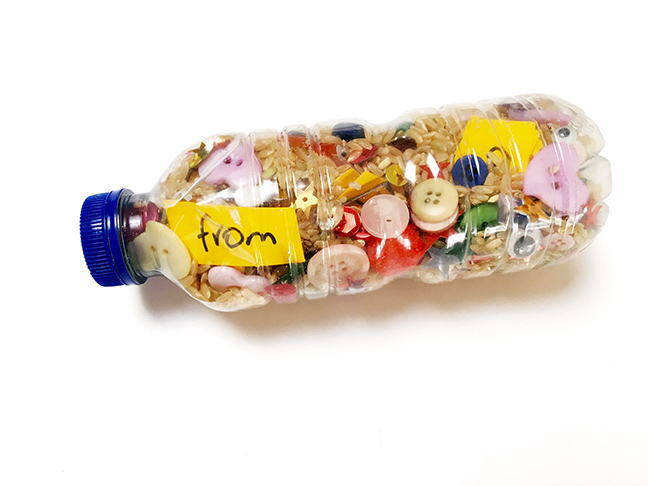 Write sight words onto small pieces of card and insert into the bottle. Kids have to shake the bottle up to uncover different words. A great activity to keep in the car so that your children can practice their sight words en route to swimming lessons, piano lessons, etc. Children read the word aloud. They build it with magnets and then write it. This would be a great activity to organise on the fridge door. Your little reader can practice whilst you get on with organising dinner. An oldie but a goldie. Get your reader to trace their sight words into the playdough, using a finger or a paddle pop stick. They could also roll the playdough into logs and form the letters of the sight words. Lots of fine motor development happening at the same time! 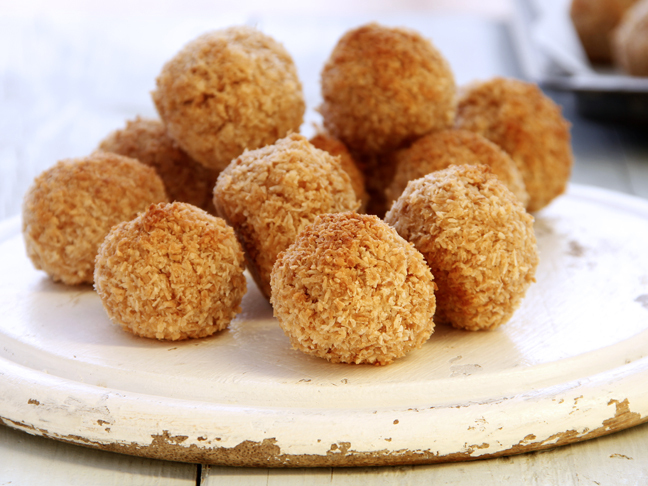 Here’s a super simple recipe if you need to stock up on playdough. Squirt some poster paint into a sandwich bag. Seal the bag and cover with duct tape to ensure it is sealed tightly. Give your reader a cotton bud and let them trace their words into the paint. Watch the words disappear! 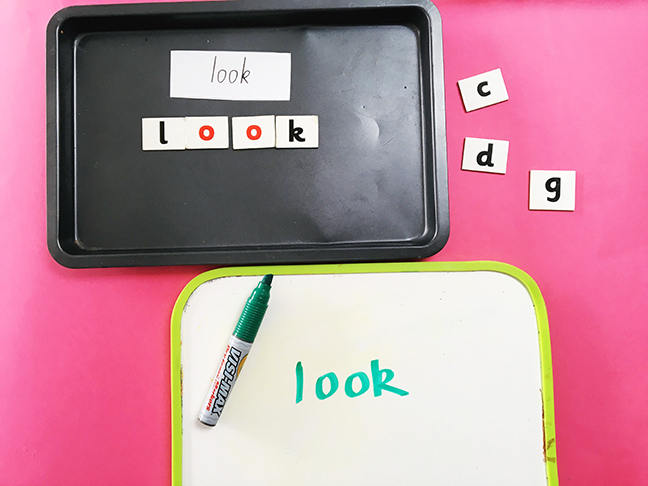 Cover a baking tray in shaving cream and let your child use their “finger pencils” to write their sight words. A no-mess activity. Equip your child with a container of water and a paintbrush. Let them “paint” their words on the exterior of the house, on the driveway, on the fence… This is also a great activity for bath time if the clock has beaten you and you didn’t manage to fit in sight word practice in the afternoon madness. Get your reader to write their sight words in chalk on the trampoline. They have to jump on the word that you call out. A great way to get kids to use up their energy whilst completing their homework. 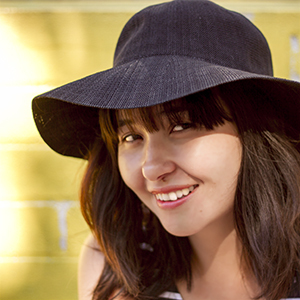 Visit the AUSLAN Signbank and get your children to spell their sight words using finger spelling. Have your child write their sight words on index cards or scraps of paper. Lay them out on the floor and play Twister. “Put your left hand on the word ‘from. '” You could also play this with chalk on the driveway. One of the most popular sight words games I’ve used in a classroom. Children choose a card from a pile of sight words. If they can read the word, they keep the card. Interspersed through the pile are some BANG! cards. If you draw a BANG! card, you have to put all your cards back into the central pile. The person at the end of the game with the most cards, wins. I first saw this ideas over at K3 Teacher Resources. Cut out some fish shapes. Write sight words on the fish and place a paper clip on each fish. 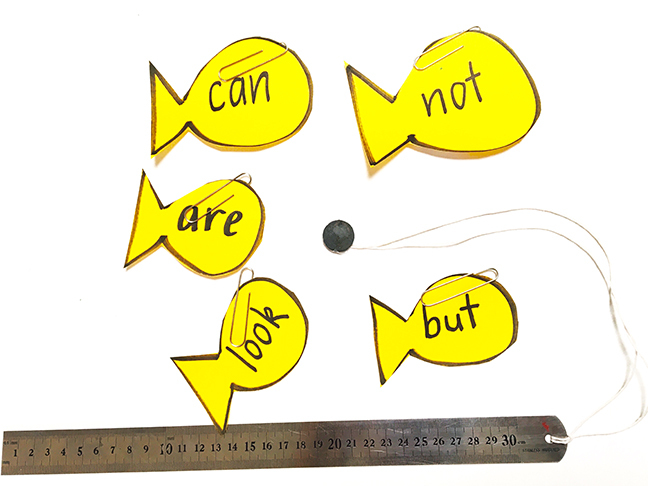 Create a “fishing rod” with a ruler, string and a magnet and kids can “fish” out the sight words they recognise or the words that you specify. Another oldie but a goldie. Write sight words twice onto pieces of card. Turn all cards word-side down. Readers have to find matching sight words. 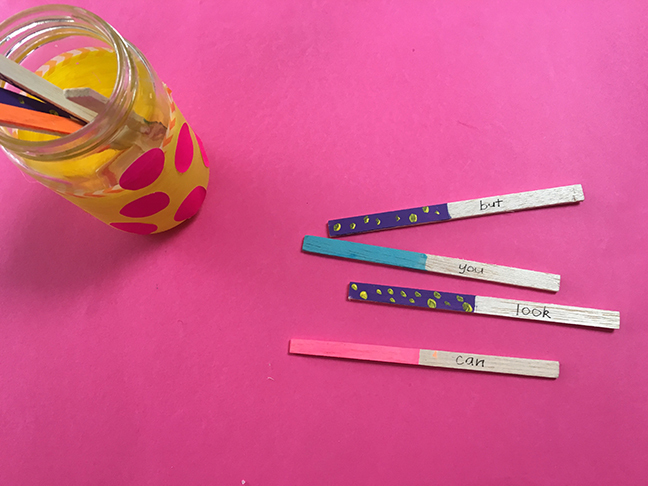 Write all sight words on some craft sticks or paddle pop sticks. Place them in a jar and your little one has to pull out a stick and read the word. To add another level of fun, set a timer. See how long it takes for your reader to read all the sight words. See if they can beat their record each time. The key is to have fun! What sight word activities do your kids enjoy doing at home?